Why Use Thinking Chat For Website Lead Generation? If your business has an active website and you have invested in marketing to attract visitors you probably rely on website visitors turning into new customers. But, do you know what percentage of your visitors actually contact you? Are you satisfied with that number? Did you know that according to Ecommerce Quarterly less than 5 out of 100 website visitors contact the business? If you had an easy and proven way to increase your website inquiries by 25%, 50% or 100% or more, would that help your business? A Thinking Chat™ ‘Quick Capture Agent™’ is a proven lead generation software that will convert your website visitors into leads. For businesses that have website traffic and receive leads now but would love more, a Quick Capture Agent™ is a solution that allows you to convert a significant number of your website visitors into leads. The best part is that if you have some existing website traffic all you need to do is place our Quick Capture Agent on your site. Our technology engages your website visitors and turns them into leads automatically. It's What Your Business Needs! Most websites are inefficient at collecting leads. The typical website captures less than 5 out of 100 visitors. A Quick Capture Agent™ will engage your web visitors to significantly increase the number of visitors that turn into quality leads for your business. With more high quality leads from your Quick Capture Agent™ you can turn those leads into more customers so you can grow your business. Our customers have multiplied their leads by a factor of 2 – 10x with a Quick Capture Agent™ in place. For many businesses an increase of even one new customer a month would more than pay for the cost of our service. You don’t need to hire any staff or need any special skills or hardware to run our software. It’s easy and cost-effective. Your Agent works for you 24 hours per day and there are no additional labor costs. 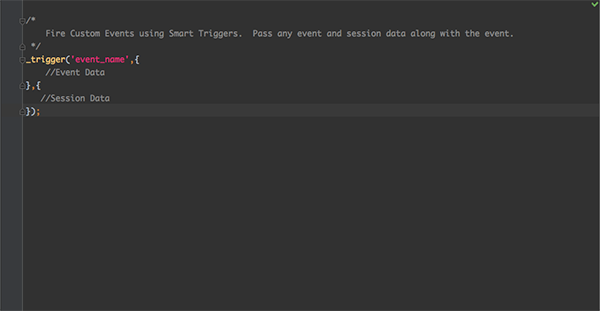 Our code is copied and pasted to your site just like installing Google Analytics. Plus, any businessperson can update their agent using our simple cloud-based dashboard. If you were looking for a restaurant in a new city would you choose the one with nobody there or the one that radiates a dynamic atmosphere? Unattended websites are the abandoned stores of the internet, the lights are on but nobody is home. Website visitors don’t typically fill out contact forms unless prompted. Otherwise, the majority of visitors will leave your site and go elsewhere. 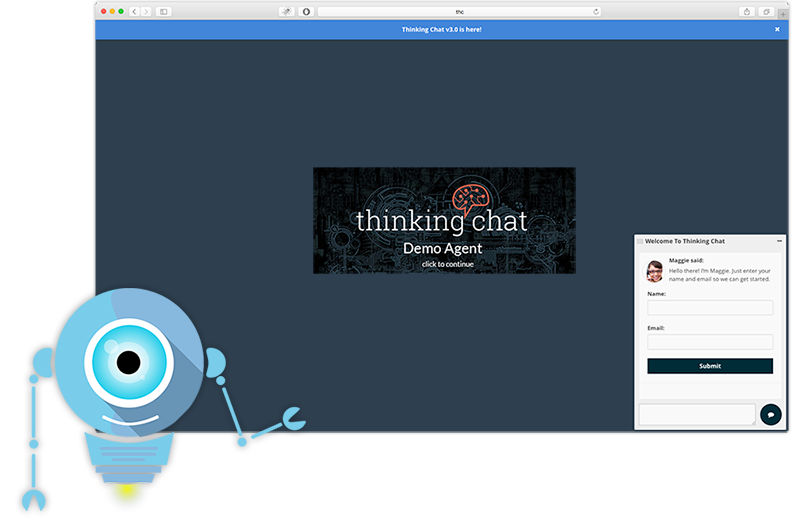 The Thinking Chat Quick Capture Agent™ looks and works like a live chat support agent on your website. The Quick Capture Agent™ engages your visitor actively, asks questions, and informs them a qualified professional will follow-up. The active nature of the Quick Capture Agent™ lets your visitor know you are ‘open for business’ and want to help and this turns your passive visitor into an engaged visitor. With our Quick Capture Agent™ on your site your visitors will either engage with it, or engage in the way they prefer (email, contact form, call etc.) but the fact is that they will now engage because the dynamic nature of the Quick Capture Agent™ prompts your visitor out of their lethargy to take an action they would not have otherwise taken. The end result is a better visitor experience with more leads and customers for you. If you have a CRM or email system and want to rapidly grow your list - we can help. Your Quick Capture Agent™ can capture your website visitor’s name and email directly into your CRM/email system. We offer deep integration with Infusionsoft and connectivity to other popular CRMs such as: Aweber, MailChimp, Constant Contact and more. No CRM? No problem! Every time a website visitor engages with your agent our system will email you the visitor’s contact information along with a chat transcript. Or, you can login to your dashboard and see all of your visitor details in one place. Plus, you can also easily export the visitor contact information and import into the email system of your choice. With a Quick Capture Agent™ at work on your website you can engage visitors and multiply your email list building efforts day and night – automatically. When you choose a Quick Capture Agent™ your success is guaranteed. Our proprietary Thinking Chat Technology has proven its effectiveness in industries ranging from infrared cameras to Chiropractic offices and industrial equipment so we know it works and will provide you with a risk-free opportunity to try it yourself. Our customers are capturing higher quality leads and turning those leads into new customers for their businesses. If you would like to grow your leads and your business has an active website with a decent amount of visitor traffic you will know within 1-2 weeks how well this will work for you. We want to help you succeed so we Guarantee you will achieve a positive ROI within 30 days or your money back. All the risk is on us. The only risk is not trying it. A full suite of powerful tools that enable effortless lead capture on your website. With our automated chat technology you can interact with your customers and prospective customers – on autopilot. Unlike live chat, there is no intrusion during your day and visitors won’t be discouraged by a ‘sorry unavailable’ message when you are busy or at home. Instead, you can help visitors find what they are looking for and then capture their name and email so you/your staff can follow-up as appropriate. The end result is more time freedom for you, and more customers. Thinking Chat™ uses proprietary technology it has developed over several years to provide you with an accurate, realistic, easy to use and cost-effective automated chat system. 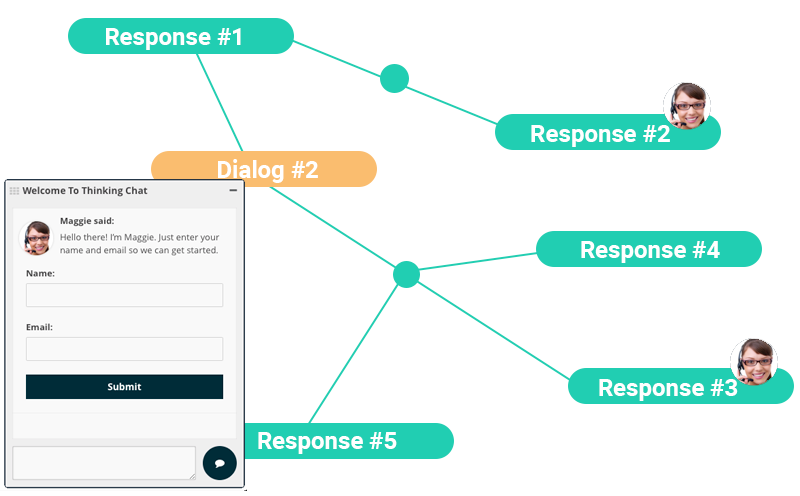 Unlike other complex artificial intelligence systems, a Quick Capture Agent™ from Thinking Chat™ is extremely simple to configure. With our easy to use dashboard, you can configure your agent to ask relevant questions, provide answers, and capture information about your customer. Not many people that visit your website will take the extra step to fill out a passive contact form. When you have a Quick Capture Agent™ on your website you will be able to engage your visitors in a conversation while capturing their contact details as well as information about what they are looking for. While your staff has gone home and your competition is sleeping a Quick Capture Agent™ can be hard at work engaging your site visitors and capturing their key information so your visitors are happy and you can follow-up as needed. Website visitors are easily annoyed by popups and lightboxes. Besides, with popups and lightboxes you make assumptions about what your visitor wants and risk losing them forever. That’s why at Thinking Chat™ we take simple lightboxes and popups to a whole new level with our intelligent Lead Bubbles. From intelligent lightboxes & dynamic newsletter sign-up forms to discrete alerts with targeted promotions & coupons you can easily configure and control in one system. Using our state of the art data capture you can configure your Lead Bubbles to target the appropriate customers while measuring and tracking your results. Lead Bubbles now also come with our Lead Bars feature. Lead Bars are fixed bars on your site that provide your visitors with your choice of: special offers, coupons, or calls to action. Have some information that is critical that your customer should know about? Use Lead Bubbles or Lead Bars! Targeted Lead Bubbles are like targeted ads. The bubble can be triggered based on the customer's specific interests and actions they perform on your site. Thinking Chat™ provides a comprehensive set of tools for lead capture. If a qualified lead arrives on your site, we can capture them. Once we capture your visitor’s contact information our system can transfer data to your favorite CRM so you can send an immediate thank you email, add to a newsletter, send a special offer – whatever you want – the options are nearly endless! Not sure if we can connect to your CRM/Email system? Ask our Agent and we’ll let you know. Each prospective customer on your website has their own unique needs and wants. You know this instinctively. Yet, most sites either hope that a visitor will contact them or they provide the visitor with one standard offer over and over. These strategies either rely on: hope, guesswork, or 1-size fits all offers and that’s not very smart. Here is a quick example of how Smart Triggers can be used on your site. Suppose your customer clicks on a product link on your website to see detailed information about a product, you can use this click to trigger a custom event like product_A_link_clicked. You can use this trigger to display the chat window with a message, "Hello User, looks like you are interested in Product A. Is there some more information you would like to know?". Or, you can provide a lead bubble that says, “Hi, Enter your name and email and receive a coupon for Product A” But that's not all. You could save this information to your CRM system or complete a goal in Google Analytics. The possibilities are endless. Sound too technically confusing? We’ll make it easy to understand with our online tutorials and tips. No time or technical knowledge? No worries. We can provide an optional optimization service that does all of this for you. Or, choose our fully Automated Smart Agent with initial setup and optimization included right out of the box. Pick your plan and create an account. We will even give you a 30-day no-risk trial. Cancel/Upgrade at any time. Simply add the generated JS snippet to your site and you are ready to go. (Installs easily like Google Analytics. We can even do it for you). Your lead capture system works out of the box, but with a little fine tuning, you can make it even better.